Congratulations to Chip for winning The Last Surgeon. 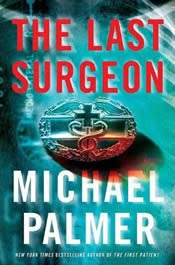 Be sure to check out Michael Palmer's website for more information about The Last Surgeon which will be released on February 16th. Michael will be sending Chip a personally autographed copy of The Last Surgeon. Thank you to everyone who entered.